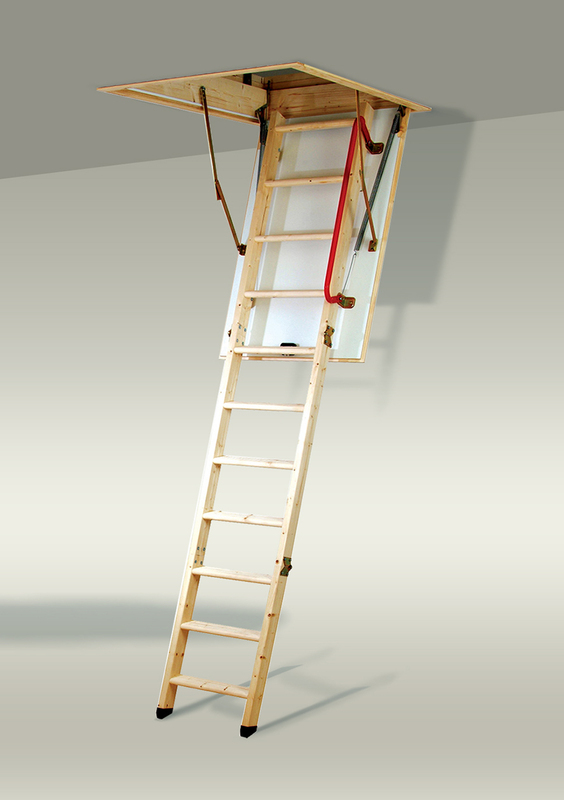 Timber Deluxe Line is a 3 section folding timber loft ladder with an insulated draught proof hatch. Manufactured from aluminium and incorporating a clean, fully anodised finish, this latest addition to the Youngman range is simple to install and even easier to operate. 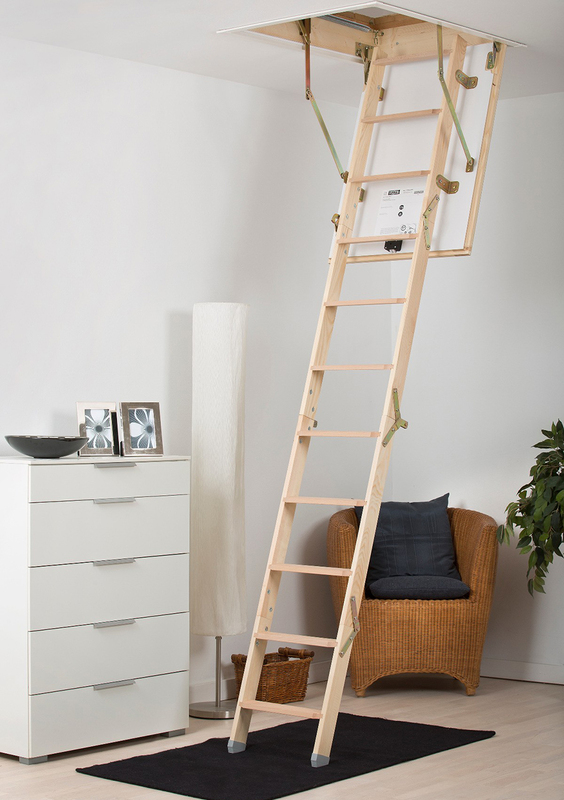 Designed for occasional use in the home, this quality loft ladder is easy to use. Looking for a loft storage room without the cost of conversion? Save energy and reduce energy bills by insulating your loft space. Call us today for a free survey and quotation. Telford 01952 911064 – Wolverhampton 01902 216064. Welcome to The Loft Ladder company, covering Shropshire and the Midlands. If you’re looking for the best deals on loft ladders, new/enlarged openings, loft boarding, hatches, insulation all carried out by professionals. Then you have come to the right place. We offer good old fashioned service together with competitive fixed prices. 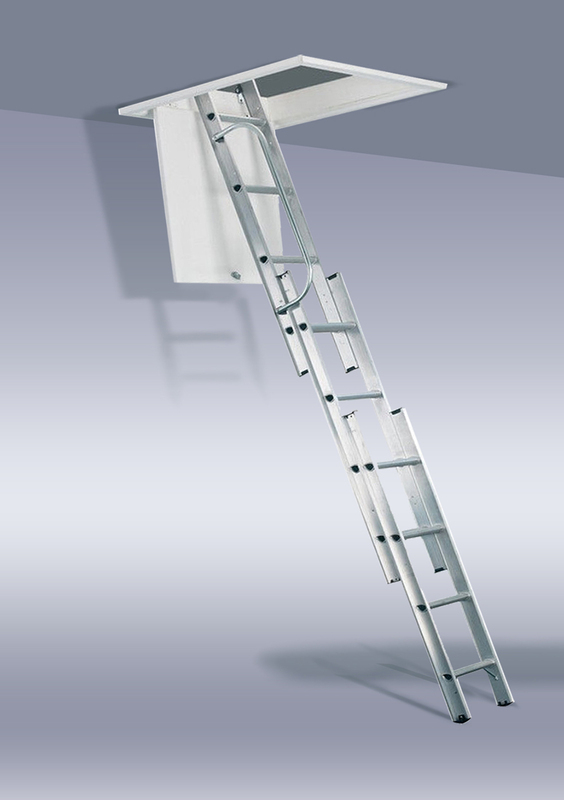 Take a look at the selection of ladders on offer backed by our 10 years guarantee. You can rest assure that your home will be in safe hands and treated with care. We turn up on time and leave your home clean and tidy with the minimum of disruption. 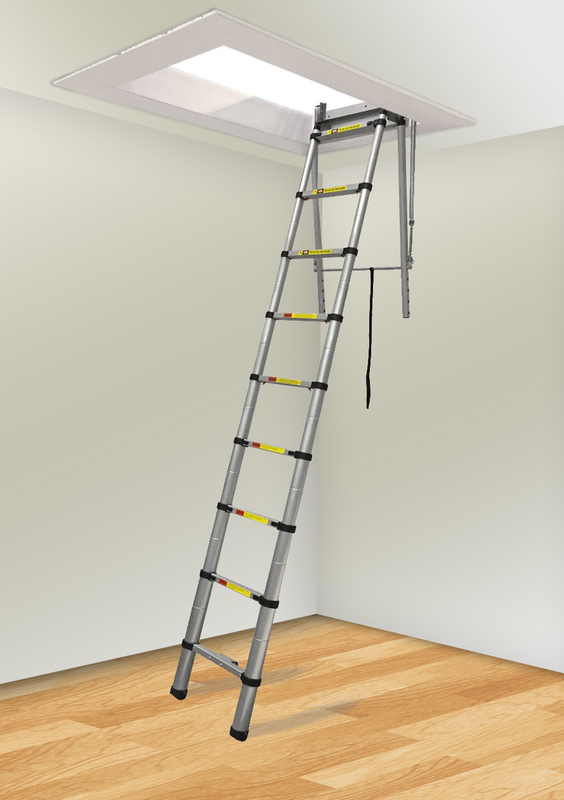 Over the last few years many loft ladder companies have come and gone, we are the original loft ladder company a name you can trust. Loft boarding Telford . Loft boarding Wolverhampton . Loft ladders Telford . Loft ladder Wolverhampton . Loft hatches . Loft ladders Shropshire . Loft flooring Telford . loft rooms . Loft insulation . Loft boarding Midlands . We are very pleased with the quality of the loft ladder supplied and fitted by Lee. I was most impressed in how quick the job was done, solving problems along the way and that I was involved in the decision process, been given options to choose from. I look forward to working with him for the next phase of the loft renovation project. Lee gave me a quote and fitted my loft ladder personally and swiftly in a professional manner. It was much cheaper than i expected and works really well. I wish I had had it fitted 3 years ago when I moved into my current house. 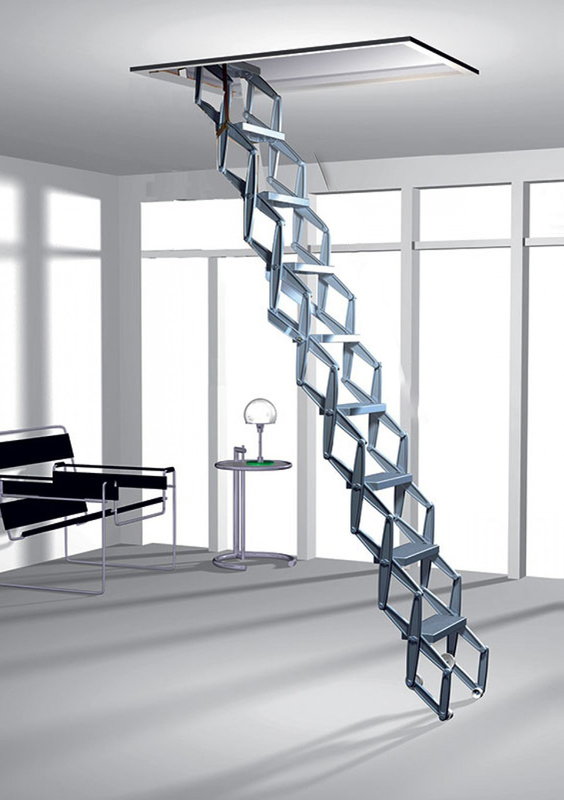 We found out about the loft ladder company by googling – and you never know what you will get! We booked an appointment and Lee turned up on time and talked to us about what we needed. There was no hard sell – he just gave us all the options and all the prices. We went ahead with the purchase and the fitting was carried out in the same efficient manner. Our ladder is wonderful and so easy to use. We would definitely recommend the Loft Ladder Company. We used the loft ladder company to install flooring and a timber ladder in our new home in Telford. I would recommend Lee to anyone looking for loft work, I was very please with the service and no pressure survey. Lee and Steve installed an aluminium loft ladder and a small boarded area for us. They were recommended after working on my daughters loft. The work was completed in a morning and they cleaned up afterwards. We are more than happy to recommened The loft ladder company. We had the Loft Ladder company install a ladder and door for our loft. Lee visited to check our loft and informed us of the options available. He removed the old dangerous ladder and we now have easy access. We were please with the work and they even hoovered the stairs and landing afterwards. We would recommended Lee from the loft ladder company. We’re the areas longest serving loft ladder specialist.